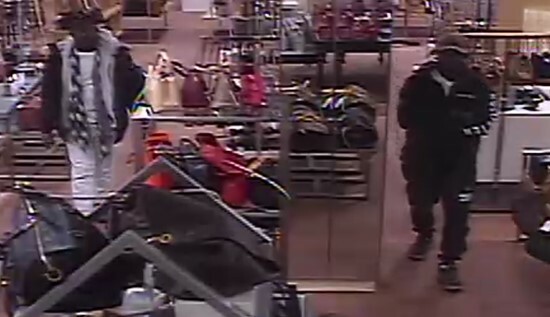 The Austin Police Department Robbery Unit is requesting public assistance with identifying two suspects involved in a robbery that occurred at the Sunglass Hut, located at 2901 S. Capital of Texas Hwy NB at approximately 2:30 pm on Thursday, January 24, 2019. 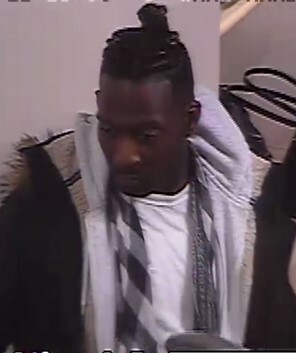 The suspects, whose description and photo are included below, assaulted a store employee and left on foot with property from the store. 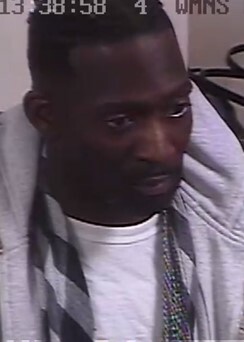 Anyone with information about this incident is asked to call the APD Robbery tip line at (512) 974-5270, Crime Stoppers at 512-472-TIPS or use the new Crime Stoppers App. You can also submit tips by downloading APD’s mobile app, Austin PD, for free on iPhone and Android.